Cheap Mini Foam Missiles - 12 Ct.
Great addition to any event! How far can you fly this toy missile? 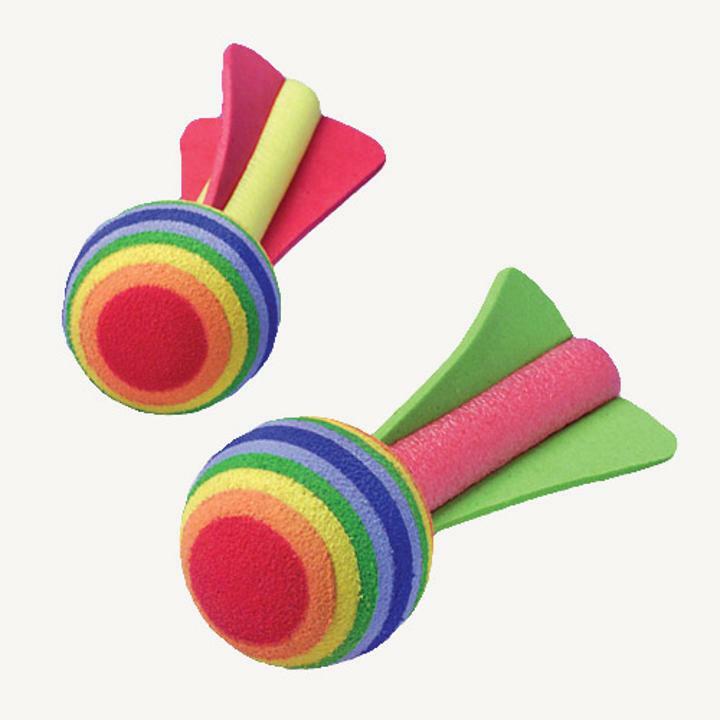 This rainbow colored foam missile is great for outdoor play. Flyers are fun outdoor toys that promote active play. Flyers are also great for goody bags or church and school carnivals. L: 5.5 in. W: 12.5 in. H: 2.25 in.